Boaters prepare to launch their boat from the ramp at the Carroll County 1000 Acre Recreational lake opened in 2013. 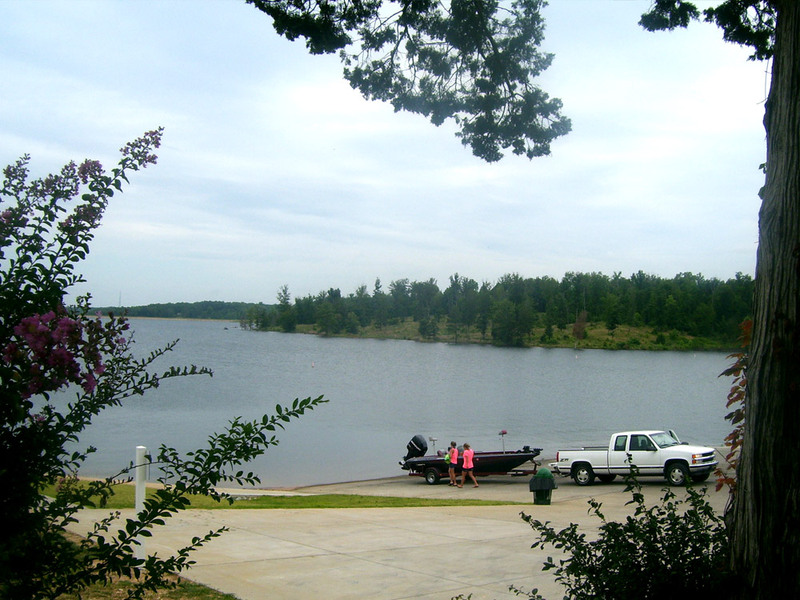 The Carroll County 1000 Acre Recreational Lake is the largest man-made lake in West Tennessee. With more than 22 miles of shoreline, the lake holds more than 17,000 acre-feet of water, 75% of which has a water level of at least 20 feet. The gate is open from 30 minutes before sunrise to 30 minutes after sunset. The beaches are open from 9:00 a.m. to 7:00 p.m.
Park Area: The headquarters, boat ramp, beaches, picnic tables, pavilion, restrooms, and concessions are located in the park area on the northeast side of the lake. Water Sports and Fishing Areas: The lake is divided into two areas according to permitted recreational activities. The dividing line is the TVA power line crossing the lake. Water sports (boating, jet skiing, water skiing and swimming) are limited to the northern two thirds. The southern third is dedicated to fishing and is a no wake area. Fishing is permitted in the water sports area as well. The lake is stocked with bass, bluegill, sunfish, catfish and crappie. A lake use permit is required for fishing, swimming, sunbathing, boating, water skiing, wakeboarding, and other water sports. A Tennessee fishing license is also required for fishing.